Breeze's silver litter on Saturday, April 13th. Gemini's puppies will be shown on Sunday, April 14th. Both showings are by appointment, only. Call us at 1(518)325-1230 to schedule your time. Pinafore, Gulf Stream, By Request, Mithrel, Cadbury and Graphic. Autumn (above) will be going into training this Spring for her new career in hunting. Grayson and Heaven are pictured above. 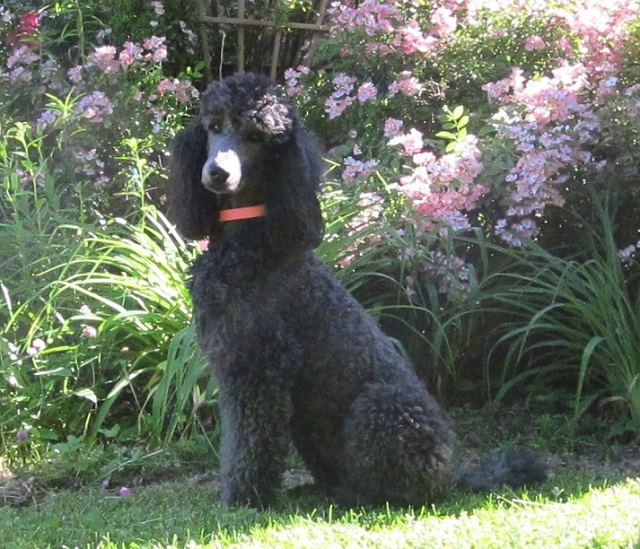 Both are joining our breeding program this year. We are introducing these three girls into out breeding program this year. 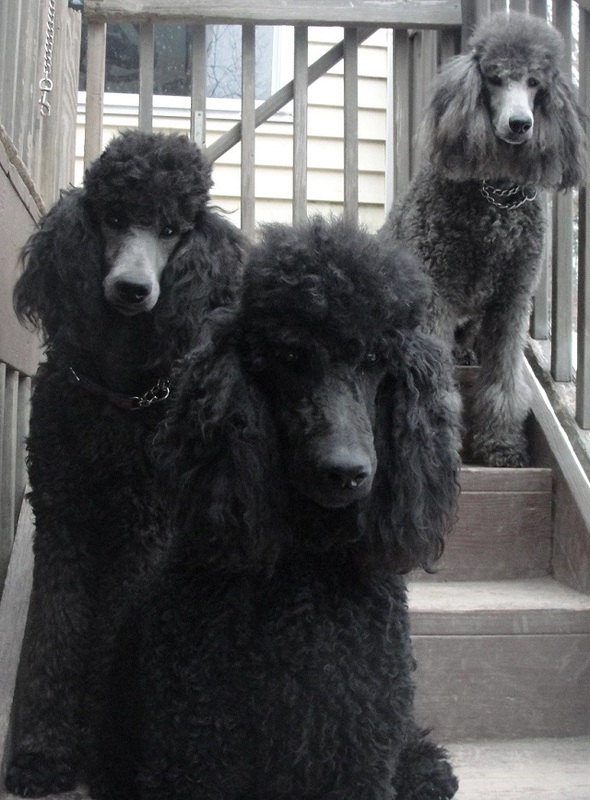 Left to right they are Heaven, Autumn, and Paris. Joan Alexander and co-owner Tammy Alexander. Chanel, a flower among flowers. Call (518)325-1230 for more information. 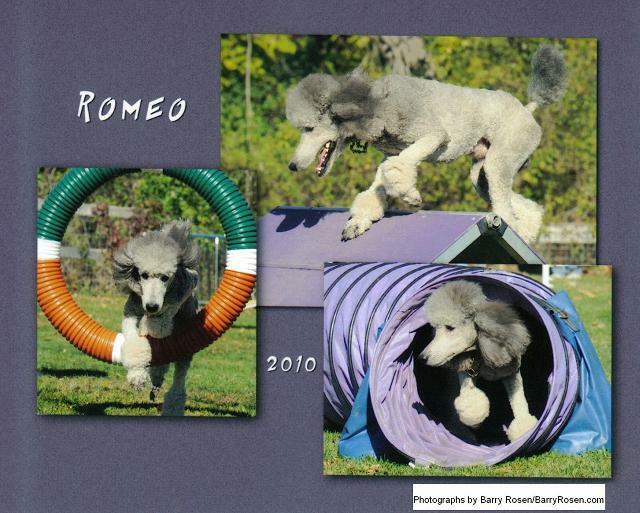 Romeo, Bulay's father, is one of our silver studs shown here doing agility. Photos by Barry Rosen. (BarryRosen.com). 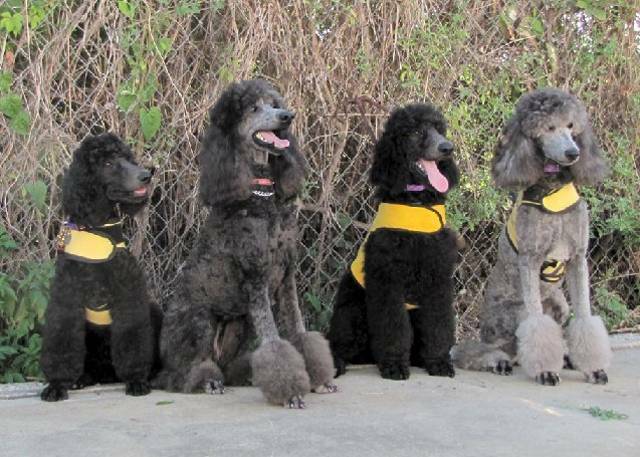 GuideDog Foundation for the Blind, Inc. in Smithtown, New York. We are proud that fourteen of our puppies are now working guide dogs.